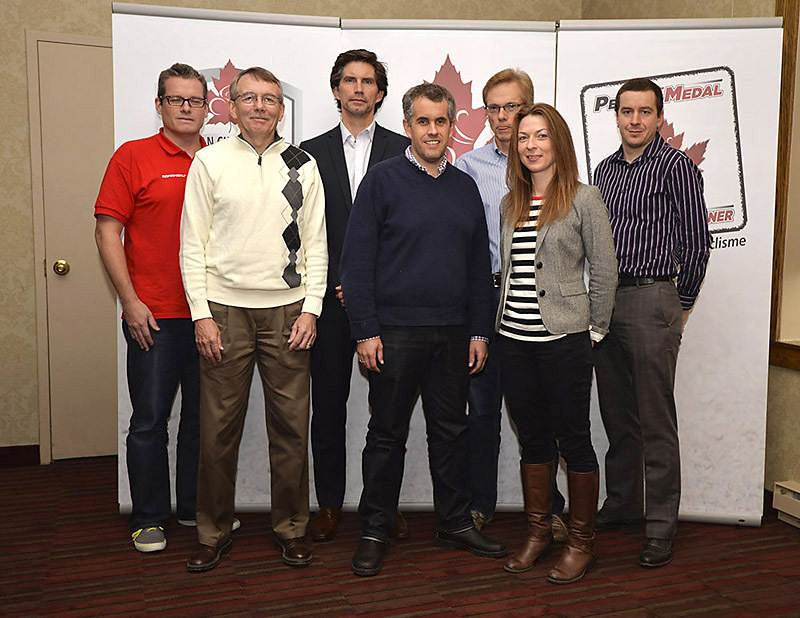 It is once again time for the national federation - Cycling Canada Cyclisme (CCC) to hold its Annual General Meeting. As always, this is a chance for the PSOs (Provincial Sports Organizations) to meet together and discuss matters of importance to all of them, including the growth in the number of non-sanctioned events, youth development, insurance, etc. It is also when elections are held for open positions on the Board of Directors and the various Committees. • Surplus approaching $500,000 in reserves, avoids need to use line of credit for operating expenses through the year. Finance Committee looking into investment opportunities. • Revenue just over $5.8 million, a growth of over $200,000. A surplus of approximately $150,000. Cycling Canada has now posted a surplus in each of the last six years. • 2013-14 Sport Canada funding totals $6.2 million, with $4.46 million in base funding to Sport Support, $655,000 to Hosting Support (internationally sanctioned events, such as Tour of Alberta, Track Challenge in Bromont, Para Worlds in Bair-Comeau, GPs of Quebec and Montreal, etc.). • Significant hiring at the national federation in the area of coaches. 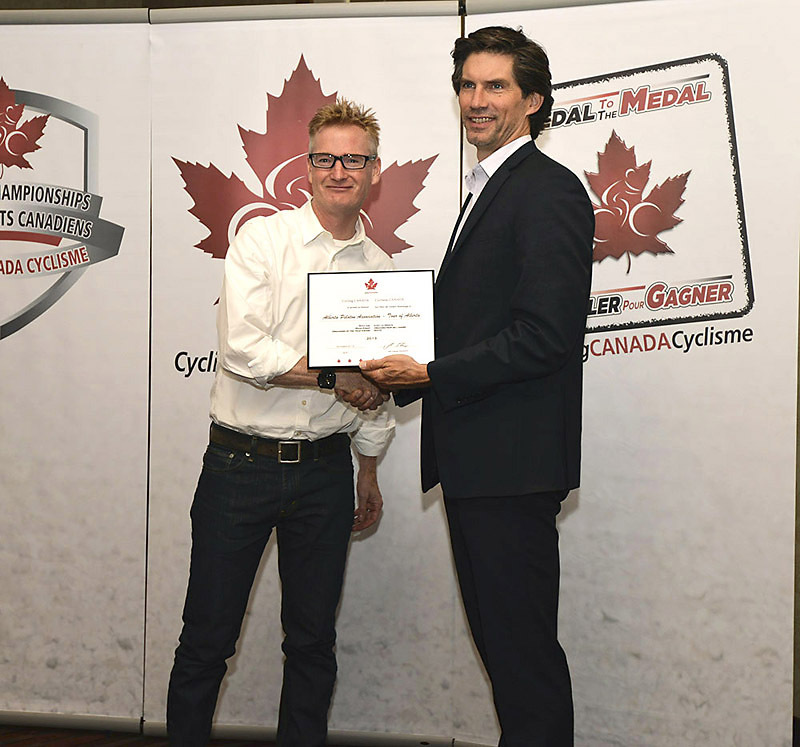 • Increase in number of internationally sanctioned races, including Delta and Tour of Alberta. • Milton Velodrome construction is well underway, with expected opening next Fall. The velodrome will host an international challenge test event on October 16-19, followed by the Canadian National Championships on October 22-25. • Significant change to by-laws to bring CCC into line with the new Canada Not-for-Profit (NFP) act. Every federally incorporated NFP is required to make changes to reflect this Act. One change is that the AGM will be required to be held within six months of the Year-End, which is March 31st. Therefore, the AGM needs to be held by September 30th. This is difficult for cycling (and a number of other summer sports), since that is during the best time of year for activities. Therefore, CCC is exploring holding a conference call type meeting for the legally required aspects (financial statements, elections, etc. ), and then a conference in the usual late-October for all the sport-related meetings. Also, no more Proxies for voting, however, Absentee votes will be allowed.